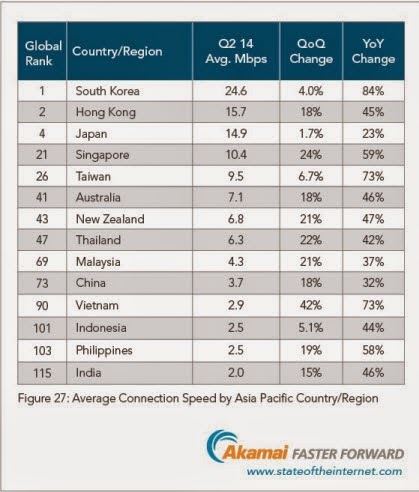 Akamai Technologies has released their Second Quarter, 2014 State of the Internet Report. One of the statistics that the report provides is internet connection speed. 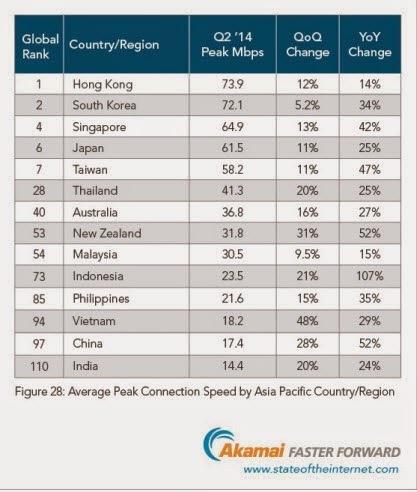 The report shows that the internet connection of the Philippines is now at 2.5Mbps which is faster compared to India’s 2.0 Mbps. Based on the report the Philippines Global Rank is 103 and a year on year increase of 58%. In terms of high broadband connectivity report, India leading by 0.5%. The Philippines can catch up if we can keep up the momentum for year on year change. Internet speed is one of the backbone of the BPO sector. 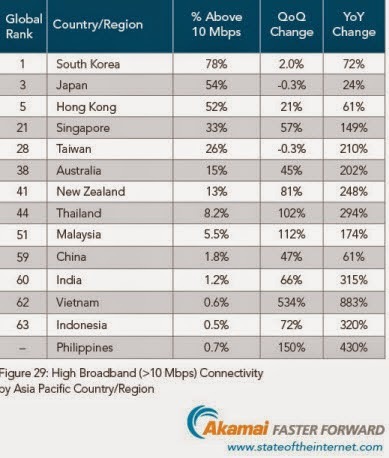 If the internet speed in the Philippines would continue to improve this would mean more opportunities for us. Aside from speed , stability of the connection should be taken into consideration as well because work from home employees would benefit from it by getting a clear VOIP line and less disconnected calls. Set yourself free from the annoyance and frustrations of having a connection that moves like a turtle by following these easy tips in enhancing your internet's speed.